The most popular forms for use on continuous feed dot matrix printers. 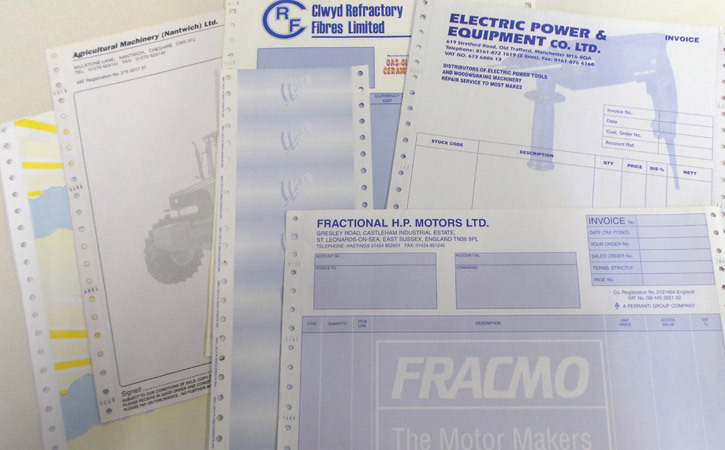 We supply a wide range of forms to meet your own personal requirements to the highest standard at competitive prices. A full range of options are available to our customers. Single part through to multipart forms, different depths or widths of forms, many different print colours and combinations. 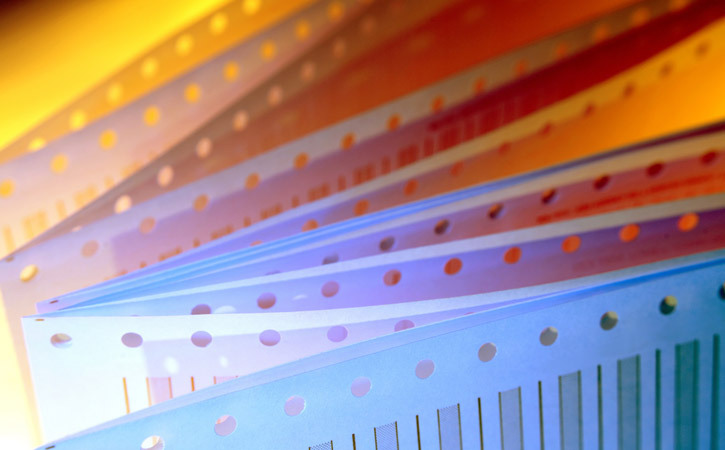 Many additional special features are available including gluing, perforating, punching, desensitising and part adhesive for labelling.